About a month ago I went to a friend’s house for her birthday party. I mentioned her party in a earlier post where I took a picture of what I wore that day. The party was a lot of fun and it was nice to see friends that I have not seen for a while. I was really excited because a lot of my closest friends were at the party so I knew it was going to be fun. They always say that time goes by fast when you’re having fun, that definitely happened in this case. It only felt like I was at the party for an hour when in reality it was about five hours. My mom and I are very crafty, we like to create a lot of our own things. When I give out gifts I always try to make sure that it is super pretty. I enjoy the look on my friends faces when they see the cool wrapping. I think the wrapping helps set the tone for the main gift they are about to receive. I once gave one my friends her gift (it was jewelry) in a birthday glass. It’s all about creativity! The more outside of the box it is, the more it will impress the person. For this gift, I went to the dollar store to get everything I used to wrap up the true gift. I found a gumball machine at the dollar store and some tissue paper to wrap the gifts. 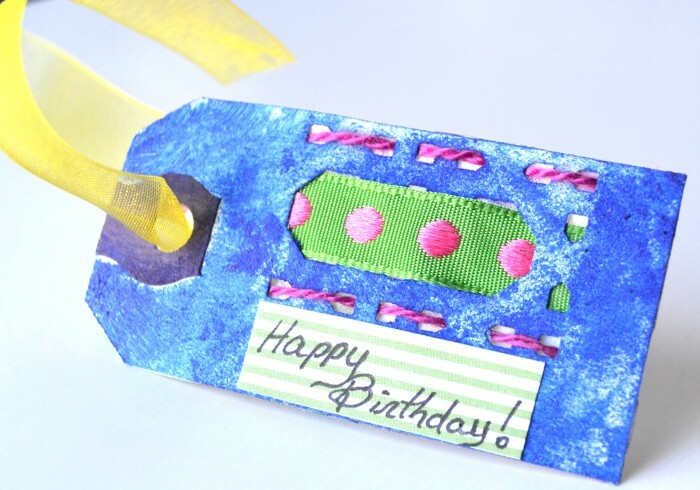 We found one of those price tags and painted it blue, wrote “Happy Birthday” on a piece of scrapbooking paper, and put in a ribbon on the tag as well. The tag looked very unusual but cute at the same time. I used a yellow ribbon to tie the tag around the gumball machine. 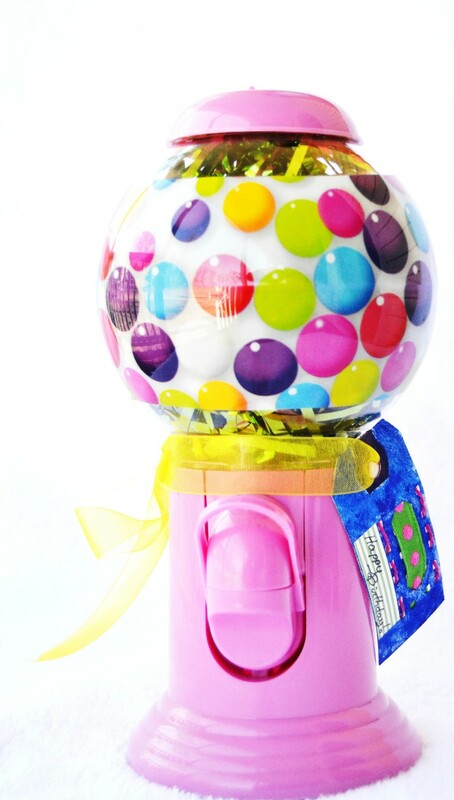 I wrapped the gift in decorative tissue paper and inserted the wrapped gift into the gumball machine. 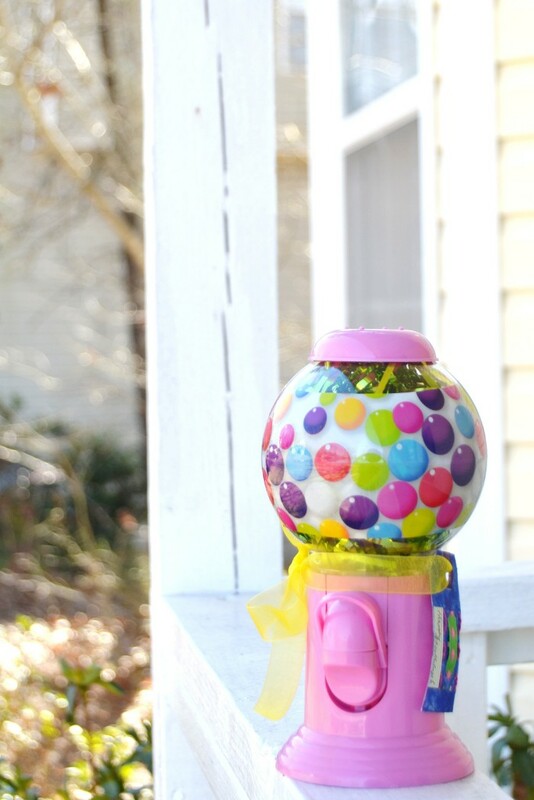 I thought it was a cute idea because not only does it look good, but now she has a gumball machine that she can use to store small things inside. Creativity is the key, in this case unexpected is good!